The name Bonaparté is highly regarded by leading professionals in the entertainment industry. 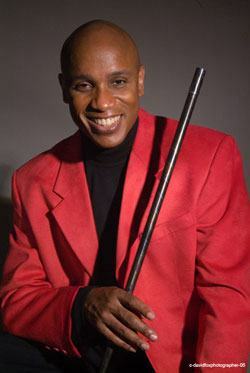 His dazzling, interactive style of magic has captured the hearts and provoked the laughter of thousands of children and adults around the world. Bonaparté astounds and amazes audiences of all ages with his unique blend of Magic, Comedy, Origami, Balloon Sculpture and much, much, more! His engaging style and ability to add a 'Touch of Sophisticated Silliness' to the most elegant of adult functions has made him a favorite among corporate meeting and event planners. It should come as no surprise that his corporate client list is a Who's Who of industry professionals. Children Won't Let Him Leave! Bonaparté's Award-Winning family magic presentations have established him as New England's Premier Children's Performer. He captivates the imagination of each child leading them on a fun-filled journey into his whimsical world of magic. Top-notch entertainment that your guests will talk about for years to come! When our event has to be absolutely unforgettable, we need top-notch entertainment. That makes the decision simple. Bonaparté's involvement guarantees our success. That's the real Magic!